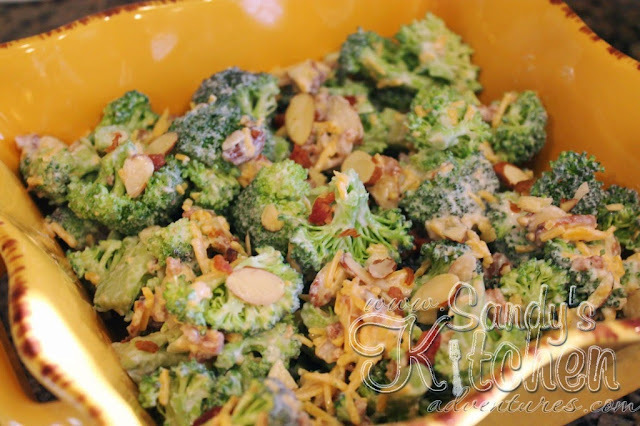 I have made the original version of this salad so many times because it is such a great dish to bring to a potluck and it is a wonderful dish to serve at a BBQ! I mean what is there not to like? You have your sweet, savory and tangy flavors going on. I do miss the little extras I used to add to the dish such as the grapes, craisins, and apples that gave it an added sweetness, but oh don't you worry! I will be adding those ingredients during maintenance. I substituted plain Greek yogurt for most of the mayo to lighten it up. As a taste test, I tried using only Greek yogurt, but the extra 2 tablespoons of light mayo made the dish more memorable. Sliced almonds were substituted for sunflower seeds and pecans since they are an allowable snack on Medifast. Only 2 tbsp of low sodium real bacon bits were used instead of lots and lots of bacon. 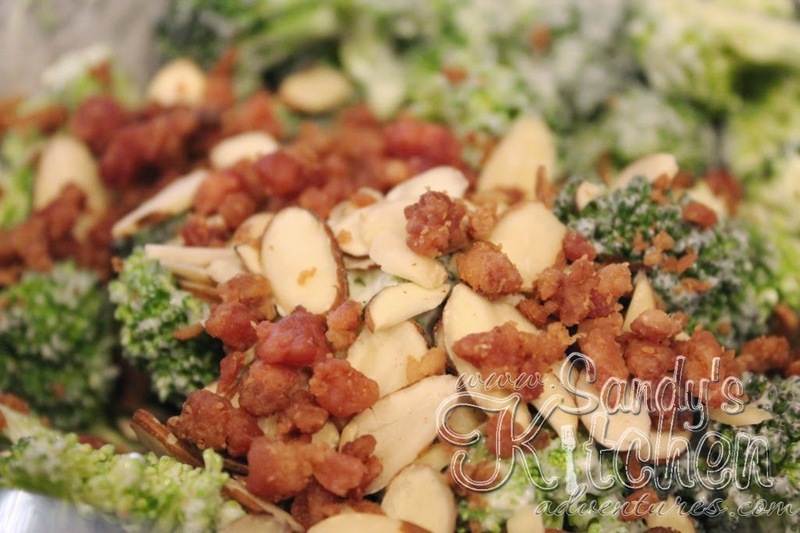 It was just enough to give the salad a taste of bacon. Definitely not as good as my original version (although still pretty tasty), but this version is so much healthier and that makes my thighs happy :) Maintenance just can't come soon enough so I can re-introduce some of the other ingredients into my diet. So let's get to the recipe which is so easy because it doesn't involve cooking! No need to get your kitchen hot when summer comes around the corner. Just take 3 cups of broccoli florets in place them in a bowl. 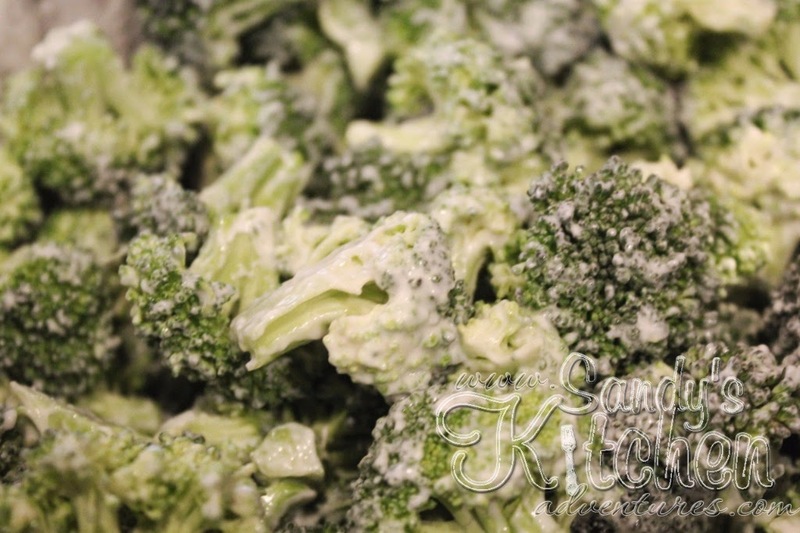 Make sure the broccoli has been washed. 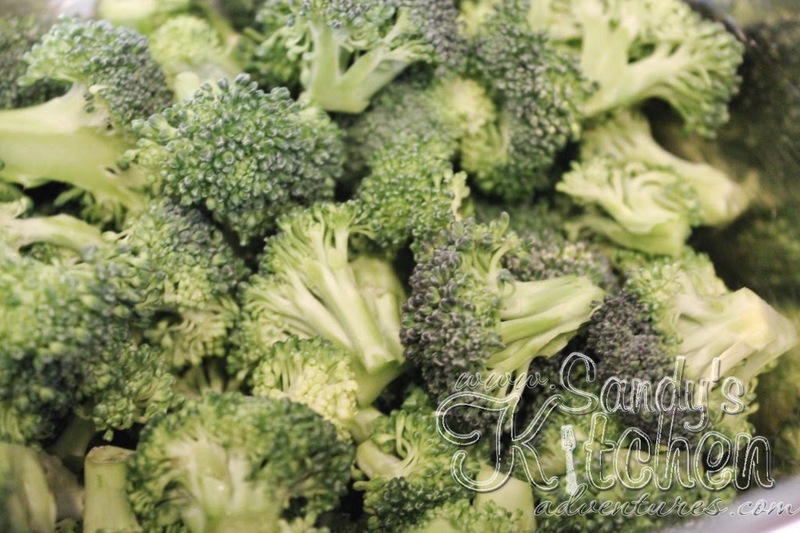 If you want to save time, you can purchase the broccoli florets already cut up. 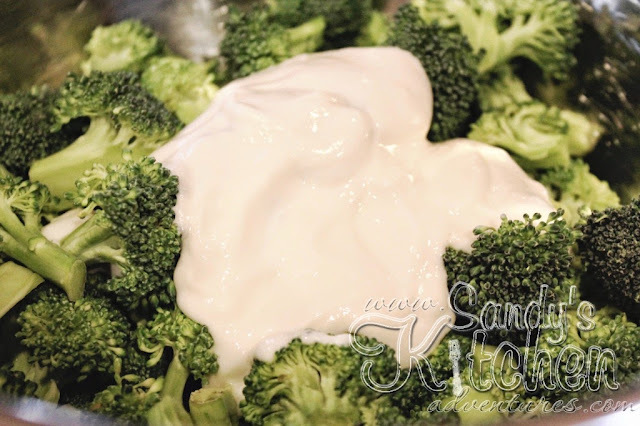 Next, you will need to make the yogurt sauce which consists of yogurt, mayo, sweetener, apple cider vinegar and salt. I like to use NuNaturals NuStevia white stevia powder packets. I find they do not leave a bitter after taste, but you can use your choice of sweetener. If you are interested, I get my stevia packets on Amazon. 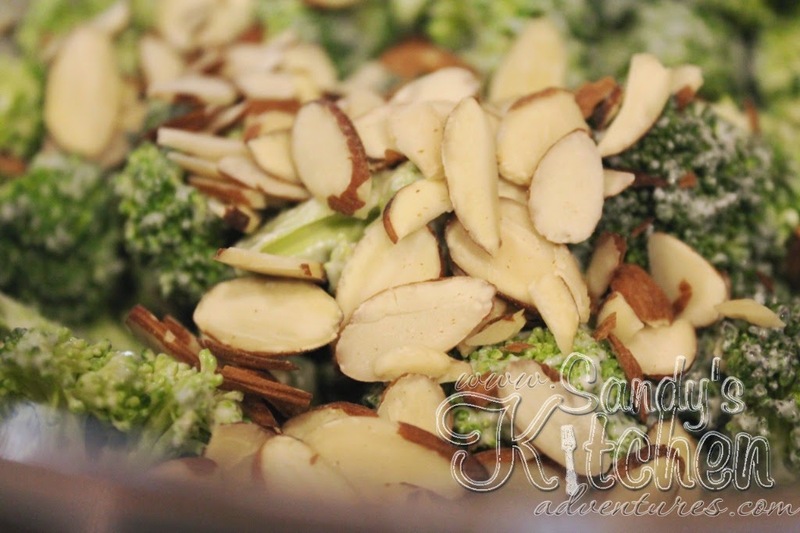 Add the sliced almonds for added crunch! 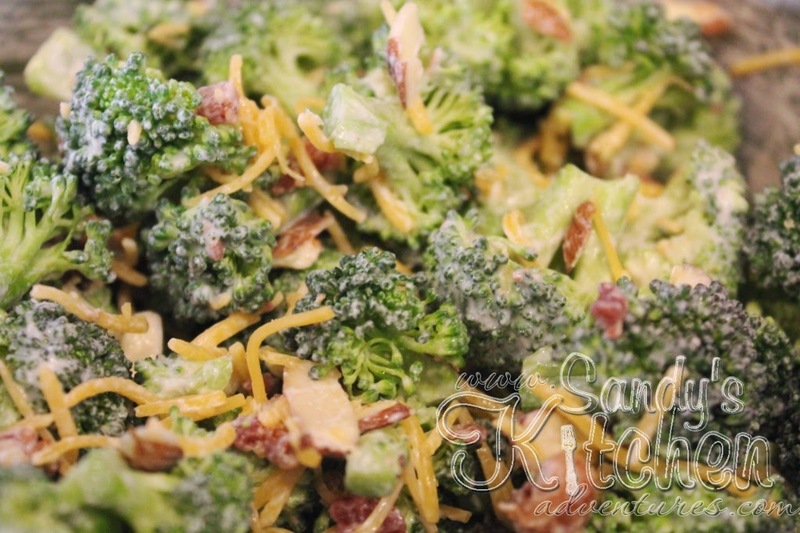 Add some yummy savory bacon bits that go well with the sweetened yogurt sauce. And of course we can't forget the cheese! 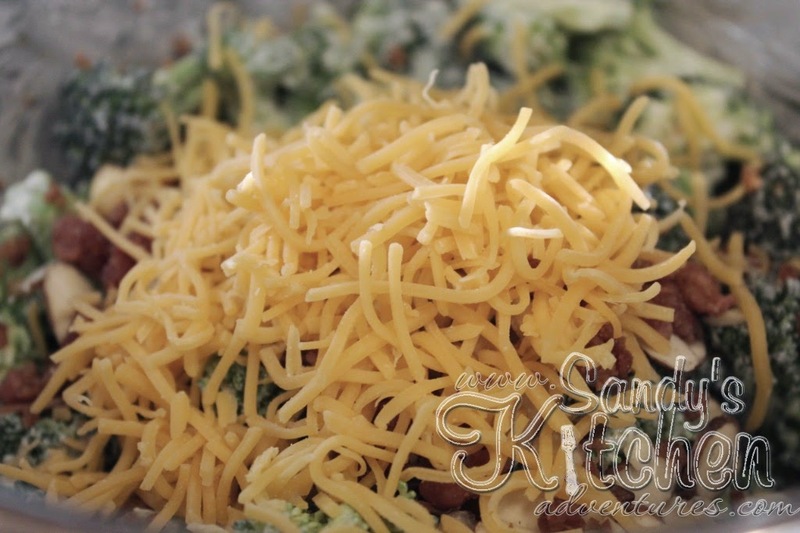 Stir it all up and you have a delicious quick and easy side dish!